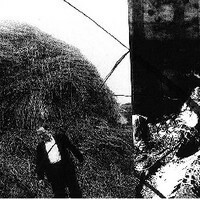 Kettle / Undecisive God "Digilogue" mini CDR - The digital and the analogue combine in this cross country collaboration which took place completely via email, to create 2 compelling sound collages. Undecisive God CDR - The accumulation of a decade of recording results in this CD release, exploring the sonic limits of guitar sound, from ambient meditations to grinding extremes. Clinton Green (Undecisive God) "Archives 1-10: 1991-2007" 19 CDR set - The complete set of the ten installments of the Archive series issued thus far. 19 CDRs covering 16 years of rarities, out-of-print releases, compilation tracks, alternate takes/mixes, live recordings and previously unreleased tracks by Green's Undecisive god project. The CD cases come bound in a handsome card scroll. Undecisive God "Archive One: 1991-4" CDR - The first in a series of CDs collecting Undecisive God’s history of recordings, remastered on CD. Most of the tracks were only previously released on cassette, and some have never been released before. This includes the debut cassette “The Difference Between Light and Shadow” in its entirety. Undecisive God "Archive Two.1: 1994-5" CDR - This archive CD contains the remastered version of the second Undecisive God cassette release "The Celestial Emporium of Benevolent Knowledge", plus three compilation tracks from this period. This version (Two.1) includes a recently discovered unrelased recording as well; an early version of "Hallowed Be Thy Name". Undecisive God "Archive Three.1: 1995" double CDR - This archive features the Undecisive God tracks from the split cassette with Punchbag, the entire “Purple Silk, Yellowed Clothes” cassette, and a previously unreleased track. This version (Three.1) includes a recently discovered unrelased recording as well; an early version of "Sisterly". "Offering" CDR The concept behind most of the recordings on this full-length CD is the combination of guitar drones of varying tones and textures into a series of canon-based arrangements, exploring the dynamics resulting from the interplay of multiple layers of sound, both through composition and pure chance. This is also the first major Undecisive God release using mostly digital recording methods. "Border Protection Policy" CDR UG departs from the usual ambient guitar fair to this extreme noise outing, in protest of Australian anti-asylum seeker policy. "Archive Five: 2001" double CDR This archive features tracks from the now unavailable split CD with AGIT8, a complete live performance, as well as compilation-only and previously unreleased tracks. "Sound Archive" CD-ROM Contains volumes 1-5 of the Archive series and all Undecisive God releases up to Border Protection Policy in mp3 format with full liner notes in a web-based interface, also playable on mp3-compatible hi-fi units. 99 tracks - the complete recorded output from 1991-2003. Scott Sinclair & Clinton Green "Tamas" CDEP - The "single" from the forthcoming album by Scott Sinclair and Clinton Green (A.K.A. 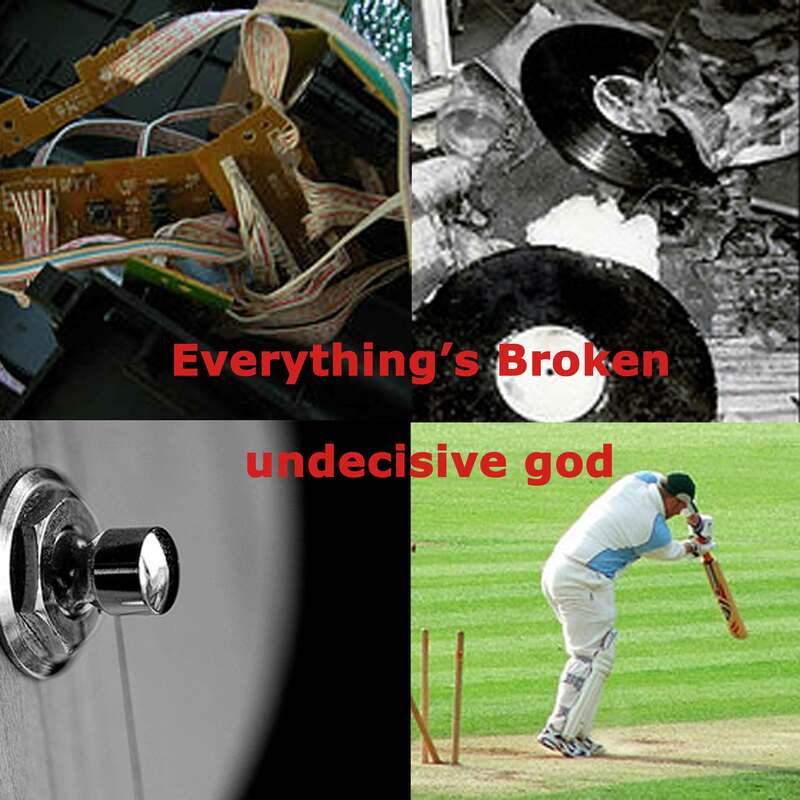 Undecisive God) featuring the cream of 3 years of guitar improvisations. "Tamas" is one of the most aggressive cuts from the album, whilst the two "b side" non-album tracks on this EP explore more low-key but nonetheless eccentric territories of guitar sound. Undecisive God "A Year of Silence" CDR - The result of a 12 month field recording project, a random recording was made once a week and then layered on top of each other to create a sound collage of the mundane. The title track contains all 52 weekly recordings layered on top of one another, and monthly mixes are also included. A limited number of copies are handmade and painted. 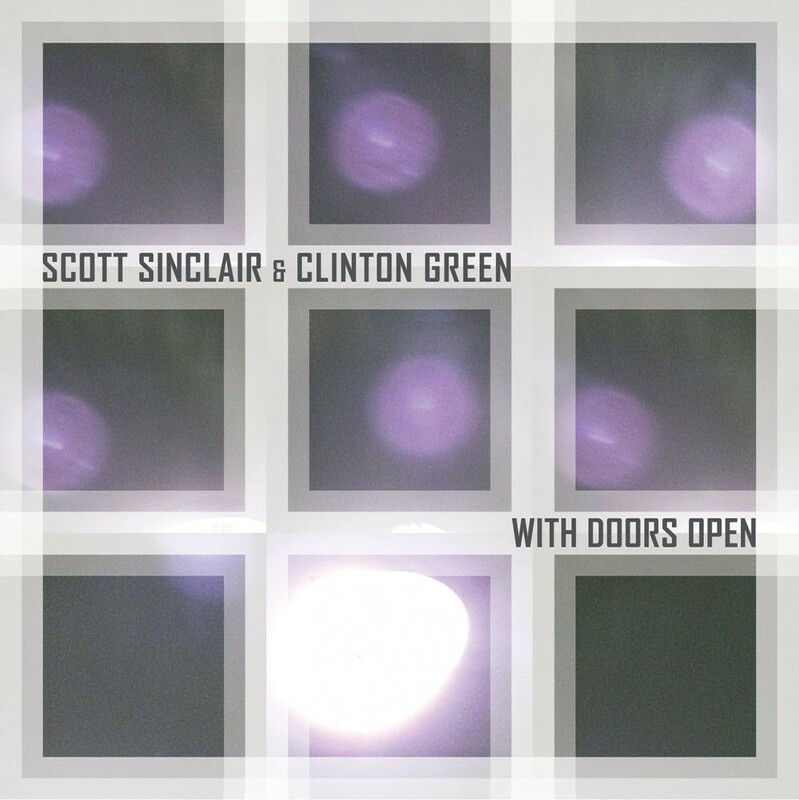 Scott Sinclair & Clinton Green "With Doors Open" CDR - After 3 years of guitar improvisations with Brisbane's Scott Sinclair, the result is this varied but rounded collection of guitar works. Guitars are used to create eccentric sounds, both jagged and melodic, soft and droning. The tracks fit together neatly for a sastifying and intriguing listening experience. Undecisive God "Headless" mp3/CDR EP - An atmospheric piece intended to be listened to late on a cold night, alone in a warm dimly-lit room. Volume III of the Terra Australis Incognita series, and from the forthcoming Eccentricities album. 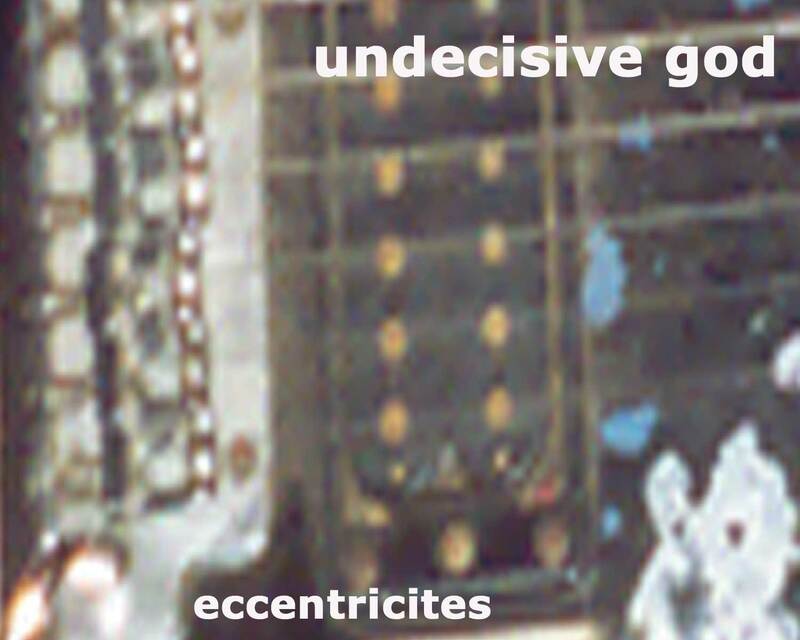 Undecisive God "Eccentricites" CDR - A collection of experiments exploring new guitar techniques, including very physical playing methods and live looping and manipulation. 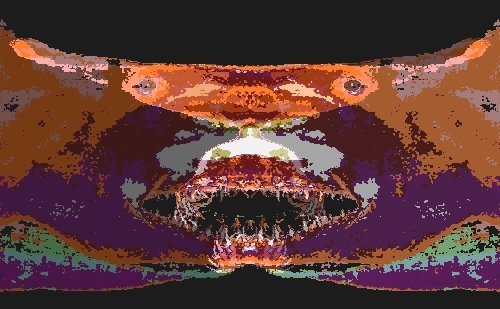 Also features a non-guitar collaborative piece with Greg Wadley (Hi-God People, New Waver). Undecisive God "Everything's Broken" CDR - Works from the last 3 years, featuring further exploration of turntable/broken record perparations, extended guitar techniques, field recordings and mixer feedback pieces. Undecisive God "Archive six: 2002-2003" 2CDR - Reissues of the now-deleted "Modern Discourse" collaboration with WIT, several compilation and unreleased tracks, and a complete live performance. Undecisive God "Archive seven: 2004" 2CDR - A complete live performance in Brisbane, reissue of the Live Performances tracks, plus a range of previously-unreleased tracks including collaborations with Jodi Rose and New Waver. Undecisive God/Screwtape "RPMs/Shitless" online album - Perhaps the most definitive yet recording of Undecisive God's prepared/shattered vinyl set up, backed up with a Screwtape electronic drone piece in three distinct parts with episodes of noise and android voices. Originally released as a ltd edition of 50 cassettes. 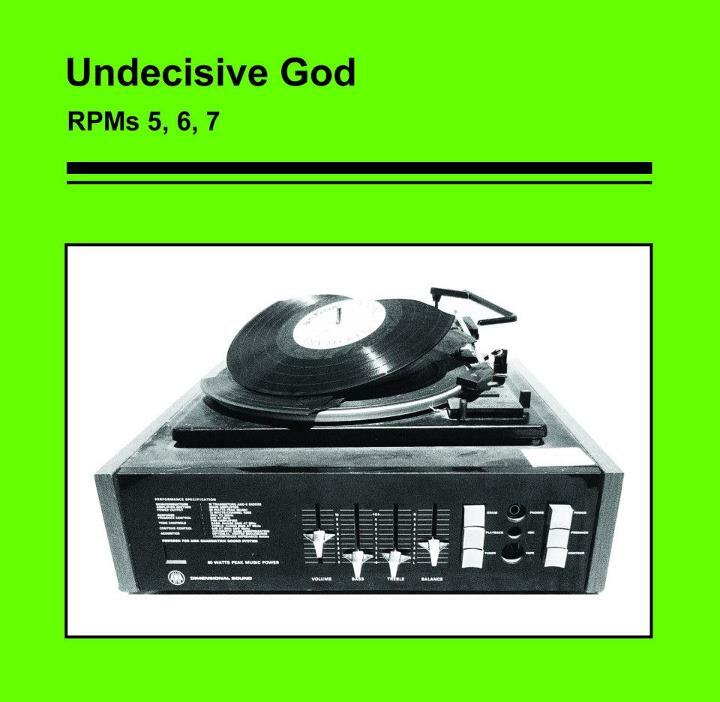 Undecisive God "RPMs 2" online album - The title track is a continuation of the RPMs series based around a basic compositional structure for prepared turntables. The other tracks are contemperaneous pieces for guitar, turntable and voice. Originally relased as a limited edition of 40 cassettes on Altered States in 2011. Undecisive God "Archive eight: 2005" 2CDR - Unreleased recordings with guitar and digital delay, plus excerpts from two live performances. Undecisive God "Finnegans Wake" mini CD - 2010 was the year I read James Joyce’s Finnegans Wake. Questions about its ‘unreadability’ aside, I discovered a strange rhythm and musicality in the text. I found that this along with its sheer otherworldliness began to influence the way I thought (not as in ‘thought about things’, but the mechanics of thinking). And in particular, the way I listened. The book is mysterious and unknowable, so it seemed impossible to articulate its meaning and/or value by conventional methods. This CD is an attempt to represent what Finnegans Wake means to me through sound rather than words. 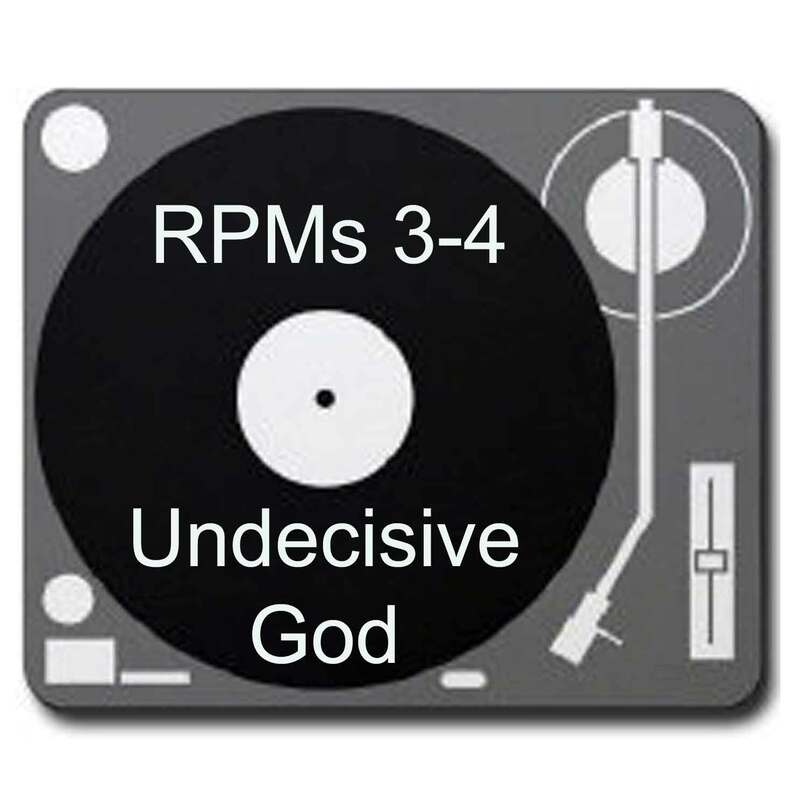 Undecisive God "RPMs 3-4" CD - "RPMs 3x3" and "RPMs 4" are the continuation of a series of compositions for turntables that began in 2008. This concept acts as a basic structure for exploration of different turntable settings, preparations and interactions. 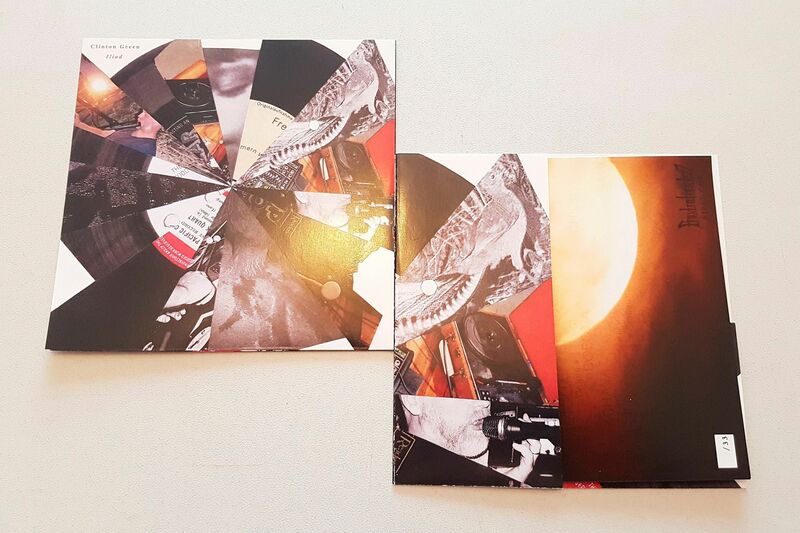 All four parts of the series released so far work primarily with layers of broken records/vinyl shards on each turntable, which creates a percussive yet chaotic effect as the tone arm skips from shard to shard, playing brief snatches of music from each. Two other tracks are included - another turntable piece and a collage of field recordings. Ltd edition 100 copies. Clinton Green "Archive Nine: 2006" 2CDR - The first disc features two now-unavailable tracks and a full live performance, all in collaboration with Melbourne ambient guitarist, Zac Keiller. The second disc features solo works for field recordings and guitar, previously unreleased or compilation-only tracks. Also of interest is a short piece commissioned for a law librarians conference! Undecisive God "RPMs 5,6,7" CD - This series of compositions for prepared turntables continues with three pieces that feature unplugged acoustic turntables, empty turntables and a live multi-performer recording featuring 6 turntables. Rounded out with an abrasive live cut. The liners also contain Green's ruminations on the evolution of his turntable project (limited edition of 100 copies). 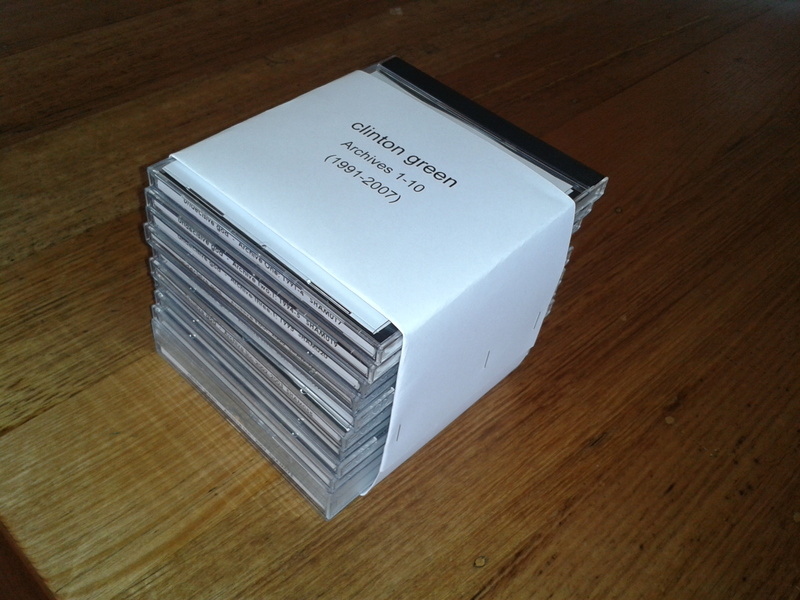 Clinton Green "Turntable At Dawn" CDR/digital - This unedited recording was made in Green’s backyard in January 2012. His instrument was an ‘acoustic turntable’, where objects and percussive instruments are placed on the turntable platter to create chaotic rhythms, in this case attempting to integrate with the ambient sound in the backyard (both natural and industrial). Turntable At Dawn was originally released as a limited edition of 30 numbered CDRs (sold out). Each cover was unique, incorporating pressed flora and herbs from the recording location. 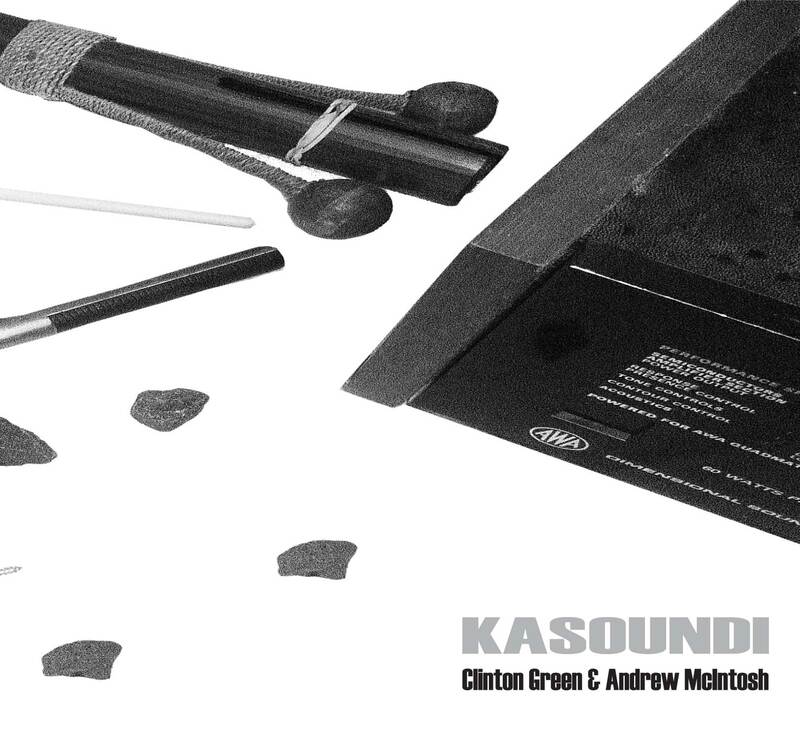 Clinton Green & Andrew McIntosh "Kasoundi" CD Collaborating originally on The Unnameable project (2002-5), Kasoundi sees the two artists combine their more contemporary interests in minimal, often-acoustic, noise improvisation. Exploring the natural and manipulated sonic properties of a variety of objects and machines (record player, tape deck, rocks, bowls, percussion instruments, kitchen utensils, aluminium foil, broken records), the duo weaves a naturalistic yet compelling series of improvisations that alternate between slow-build tension and luxuriating in these unique sonic textures. Clinton Green "Archive ten: 2007" 3CDR This edition of the Archive series includes Green's very first prepared turntable recordings, including the out-of-print "Duos for Guitar and Broken Records" EP, along with previously unreleased tracks. Also documented are latter-era guitar experiments, including all tracks from the collaborative album with Zac Keiller "Residential", a live performance and several more unreleased/compilation only tracks. Clinton Green & Andrew McIntosh "Stations" cassette/digital These recordings were made in preparation for the live performance of a piece of the same name, but in this excerpted/recording context it is the sound of a deep curiosity / fascination with the lives of objects. Metal, ceramic, wood are subjected to scraping, bowing and clattering. organic percussive movement emerges and retreats along with prepared / broken turntable accompaniment. Acoustic chamber concrète. Limited edition of 25 numbered copies. Clinton Green & collaborators "Address Book" online album An evolving album of collaborative tracks between Clinton Green a range of other artists, spanning the breadth of Green's 20+ years of musical exploration. Tracks will be added gradually and in alpha order according the band/surname of the collaborator, until this virtual address book of 26 collaborations is complete. Clinton Green “In Situ” CDR Composed from turntable manipulations of Todd Anderson-Kunert’s ‘The situation we’re in’ seven inch vinyl. Available in an edition of 30 CD’s, each with an individually hand constructed collaged cover made by Jessica Anderson-Kunert (using visual source material from the same release). Clinton Green & Barnaby Oliver "Discretions" CDR Thirty short, discrete, acoustic improvisations, where Green and Oliver consciously looked for ways to end the improvisation, rather than extend it. Instrumentation includes violin, banjo, gramophone and percussion. 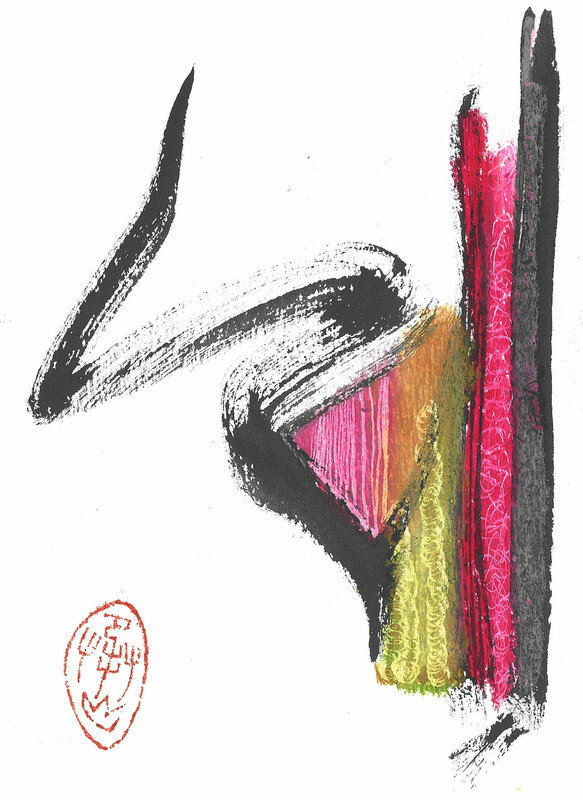 Limited edition of 30 copies, each with an individual hand-drawn cover by Anna Dusk (see all thirty covers here), and each with a unique track order determined by a random number generator derived from atmospheric noise. Also available to stream as a randomising web app. 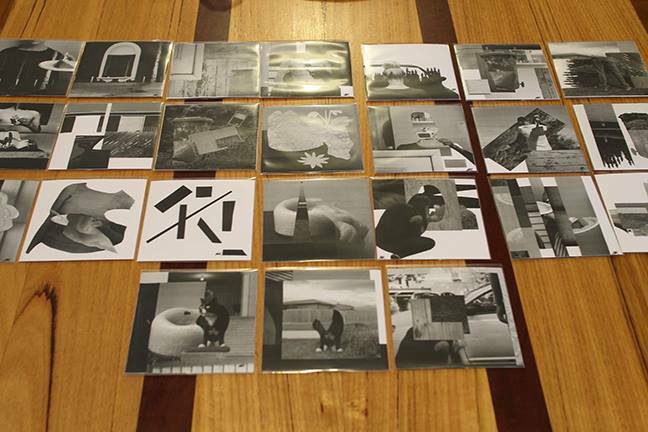 Clinton Green & Camilla Hannan "The State of Sound" online album Through the summer of 2015-6, Melbourne sound artists Clinton Green and Camilla Hannan conducted weekly conversations on different themes relevant to contemporary sound art and experimental music practice. Originally broadcast on the Smart Arts programme on radio 3RRR FM. Undecisive God "A Vinyl Construction" online EP Experiments with multiple turntables and prepared/broken records came to full fruition here with a release that poses questions both to the use of turntables as instruments and vinyl as a format. The music – crunchy multi-layered improvisations/processes that randomly sample small broken chunks from the original vinyl materials – was itself originally releasedon 7? vinyl (limited edition of 50 copies, now sold out), in handmade covers reconstructed from old record covers and broken vinyl shards; each cover was different, individually numbered and an interesting one-off creation in itself. 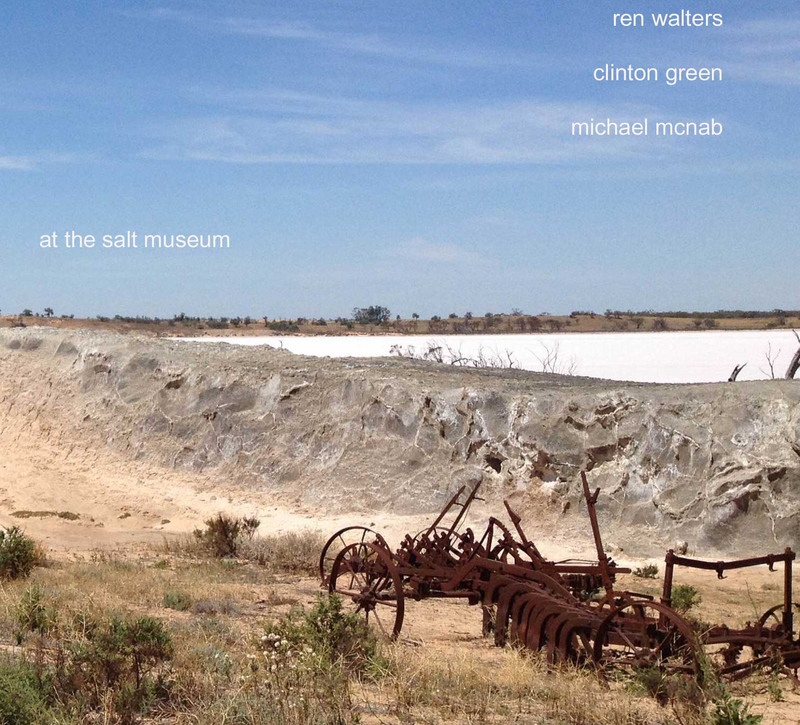 Ren Walters/Clinton Green/Michael McNab "At the Salt Museum" CD/digital In December 2015, these three Melbourne musicians camped at Murray Sunset National Park in northern Victoria, Australia, sounding various sites and performing ritualistic actions. This album documents our interactions with rusted salt harvesting machinery discovered at the outdoor 'salt museum' on the shore of the Lake Crosbie saltpan. Clinton Green 'Iliad' CDR A complete live recording of Green's composition for turntables and excerpts from Homer's epic. Distorted shards of popular and world music are melded into new juxtapostions against the ancient tale of war and fate. Limited edition of 33 hand-numbered copies. 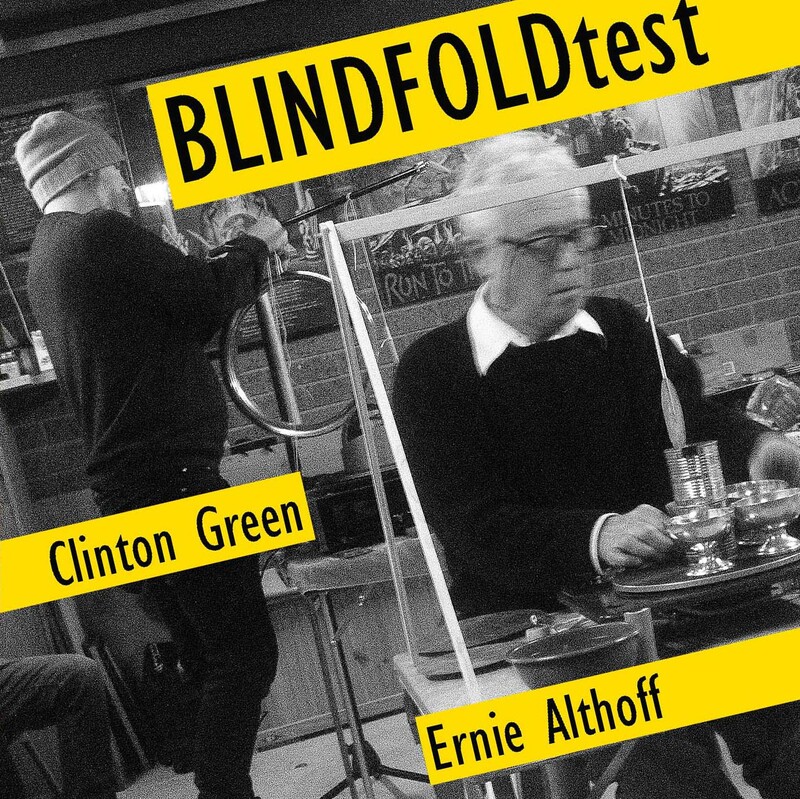 Clinton Green & Ernie Althoff "Blindfold test" CD/digital - "I think I know how these four machines sound", Clinton said of the images of Ernie's recently constructed kinetic sonic machines. "Ok, then build four pairs for these, send me the images and the sound files, and I'll mix them down to four duet tracks", Ernie replied. These became Part 1 of 'Blindfold test'; the name stuck from the start. Part 2 eventuated when the duo were asked to perform at 'Autumnal sounds', a house event in Bayswater North. Three different and separate turntable pieces were devised by each player. These were performed back-to-back for added theatrical effect, with photos and videos only later revealing the processes. A mobile phone alarm ended each section. 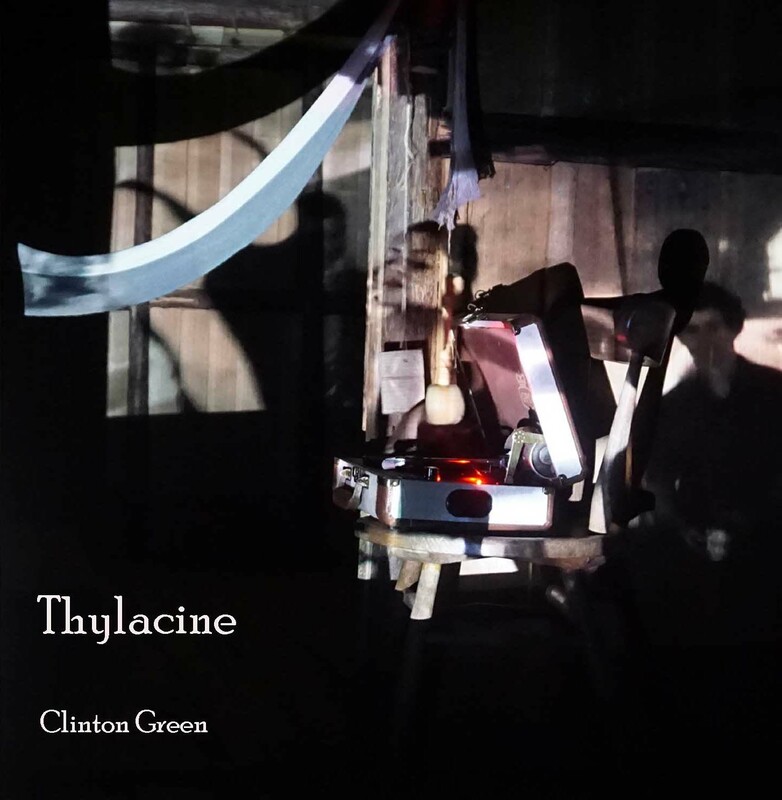 Clinton Green "Thylacine" CD/digital - "These four tracks were created and recorded at various locations in Cradle Mountain National Park and Cradle Mountain Wilderness Gallery (Tasmania), during my residency there in October 2017. The two outdoor tracks attempt to bring wildlife and environmental sound to the fore, with my own sound in a supporting role. The tracks recorded inside the gallery focus on acoustic turntable preparations, with the sound of the extinct fauna calling at intervals from a nearby exhibit". Limited edition of 100 copies. Clinton Green "If Good Fortune Follows A Fellow" cassette Each side showcases two recent yet diverse uses of turntables by Green. Side A uses audio signal output noise from a misplaying "How To Be A Ventriliquist" LP found in Auckland, agitated by layers of cardboard and a suspended fingerdrum. Side B changes stride to a meditative percussive work generated by four turntables arranged with overlapping acoustic preparations. 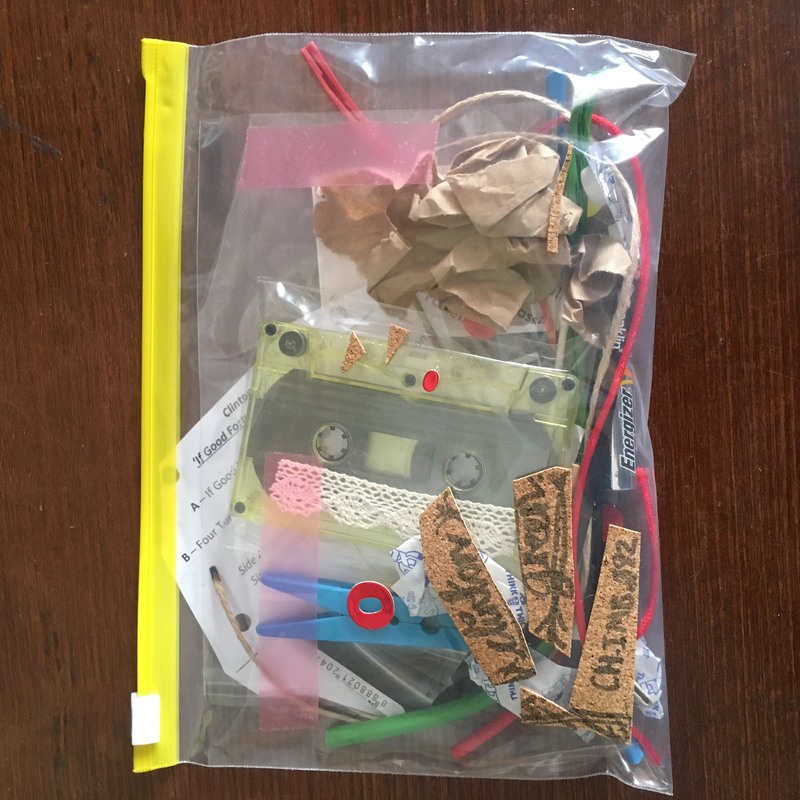 The cassette is a limited edition of 25 numbered copies, each individually packed with a Merz assemblage/lucky dip of objects/detrius collected/constructed by Green and Chemical Imbalance label overlord, Mitch Soden (includes download code). 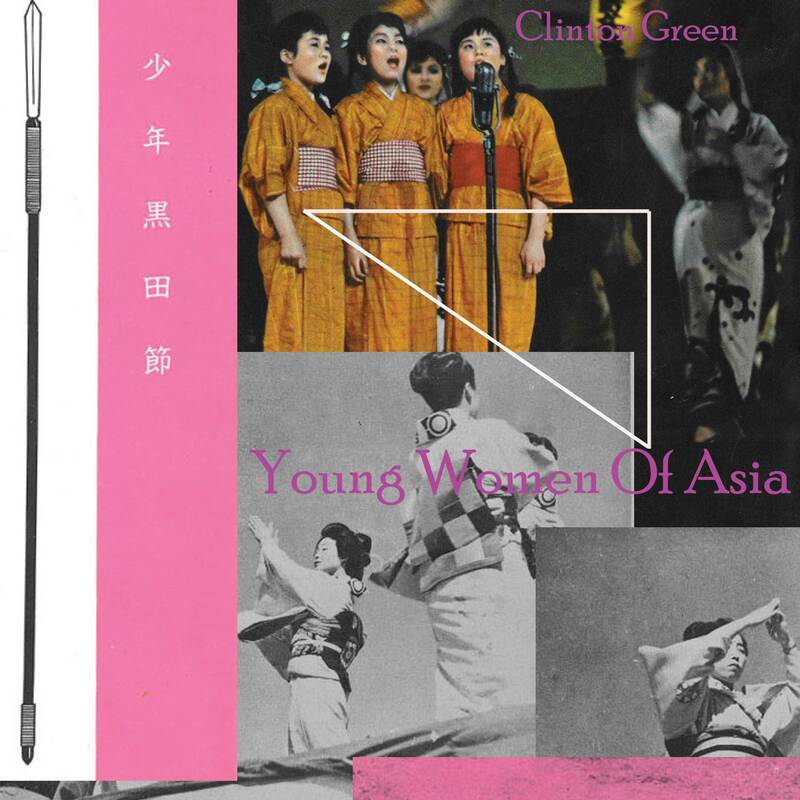 Clinton Green "Young Women of Asia" 7"/digital Turntables prepared with misplaying flexi-discs of Japanese and Pakistani folk music, mediated into precise collages of whirling voices and broken melodies. Specifically composed for the 7” vinyl format, available in a limited edition of 50 lathe cut 7” singles, with full colour hand-numbered covers, each intricately sliced for a kaleidoscopic effect, with download code. Digital-only version also available. Download/digital version comes with a bonus live track. Vinyl pre-orders available now, shipping end of May 2019.